This piece is from a couple of years ago. I came across the photos doing research for an entertainment center for a new client. 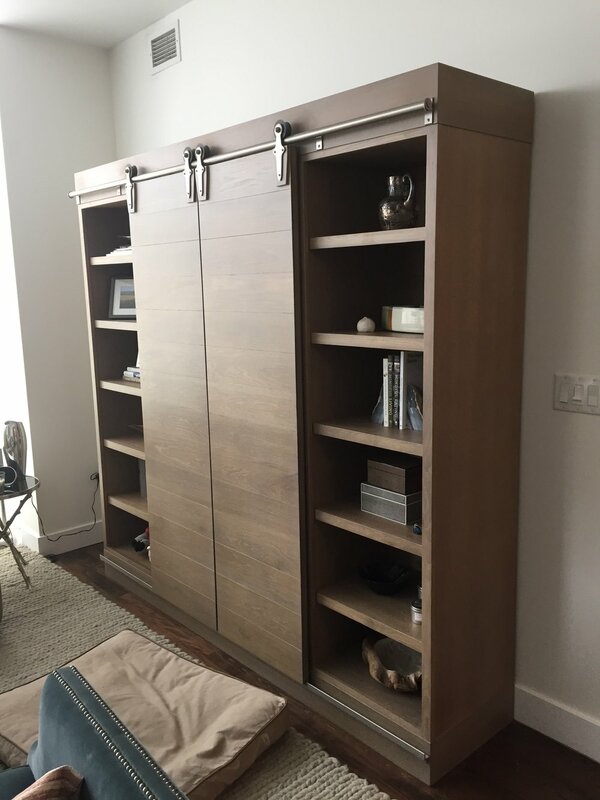 The piece has a very elegant pickled oak finish & as I remember, the barn door hardware was super smooth to operate. The horizontal grain on the doors has a good look to it as well.